We walk every year because we believe EVERYONE DESERVES A LIFETIME. Thank you to our sponsors! CED Consolidated Electrical Distributors, Inc: Consolidated Electrical Distributors, Inc. (CED) has focused on providing all electrical product needs to its Contractor, Industrial and Manufacturer customer base. 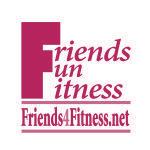 Friends 4 Fitness : 3 personal trainers in the Valley that love to combine fitness with fun, friends and charities. Express MiE Fitness & Beauty: Express MiE is a dance fitness center dedicated to developing self-confidence in women. ChiRunning/ChiWalking with Certified Instructor Lisa (founder of Team Las Bombas) : Learn how to walk and run injury-free and have more energy to get faster and/or go longer. Arizona environmental group: industry leader in providing innovative state of the art technological solutions for your cleaning, remediation and abatement needs.